Microsoft has announced a new range of affordable VR headsets. These will work with any laptop or PC running the upcoming Windows 10 Creators Update. The Microsoft VR headsets shall be built by reputed manufacturers like Dell, ASUS, HP, Lenovo and Acer. Coming to price, the virtual reality headsets will start from $299. The forthcoming VR headsets will sport inbuilt sensors, camera, display, etc. They shall function more like a standalone virtual reality accessory. The next generation VR headsets will feature advanced inside-out tracking system complete with six degrees of freedom. This means that the Microsoft’s upcoming VR headsets will not require any special room modifications or any complicated set-up. With these, the Redmond giant aims to provide its users one of the simplest VR system frameworks. The all-in-one nature of the Microsoft VR headsets means that it will perform much better than the smartphone-based VR accessories. The former shall offer much lower response time and will be easier to operate too. The newly launched VR headsets will draw processing power from any laptop or desktop. Microsoft claims that even lower-end PCs will be enough to power up its virtual reality systems. Even though modern day smartphones offer exceptional performance, they are still not a match for the processing power of a native x86 or x64-based PC processor. However, the former easily demolish the latter in regarding power is to performance ratio. But in the case of the latest VR headsets, they should certainly be snappier than the smartphone-driven VR accessories due to the additional raw processing power of a PC. In the New York event, Microsoft showed us its expertise in virtual reality through a demo of its HoloLens. 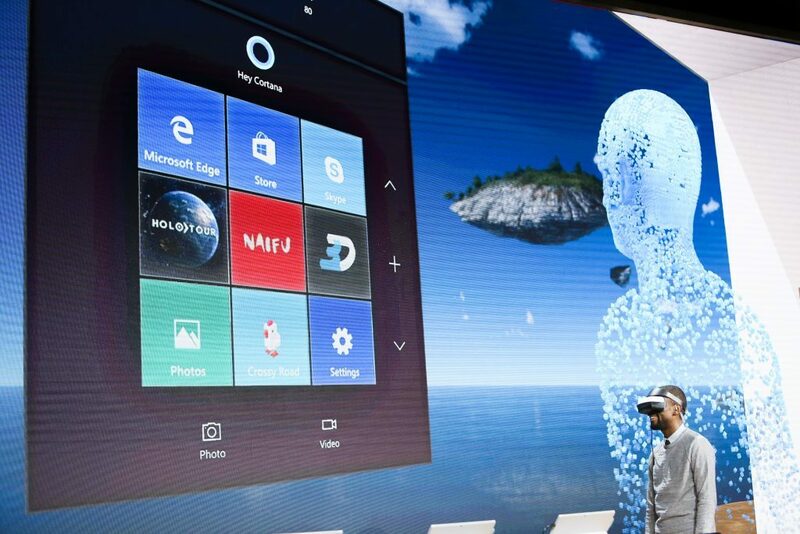 It is a mixed reality based technology based upon Windows Holographic platform inside the Windows 10. The upcoming VR headsets will share some of its characteristics with the HoloLens. The new VR headsets of Microsoft is basically a platform upon which various third party manufacturers may build their VR products. With this, Microsoft enrols itself into the VR industry where it will actively compete with companies like the Facebook-owned Oculus. The Windows 10 based VR headsets will start to become available from the next year costing upwards $299. We are patiently waiting for the wave of Windows VRs in 2017.